Addicting online game lets you generate the Higgs Boson by colliding particles « Adafruit Industries – Makers, hackers, artists, designers and engineers! 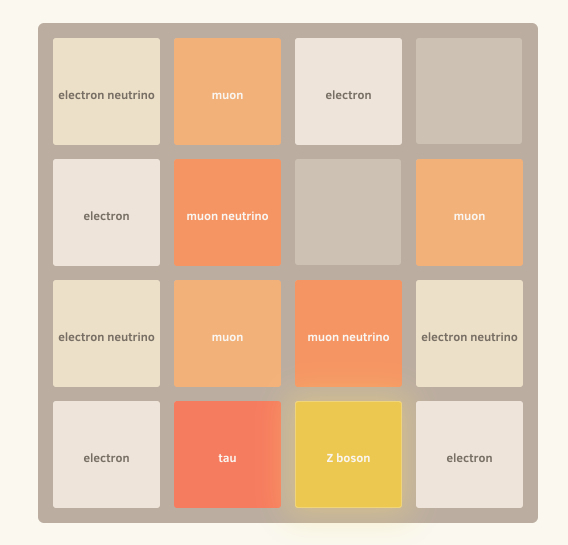 We’re obsessed with this game that lets you collide elementary particles to try to generate the Higgs Boson. We got as far as z boson but unfortunately LHC broke down before we could beat the game and generate the Higgs Boson. Try it out yourself here and see how far you can get!